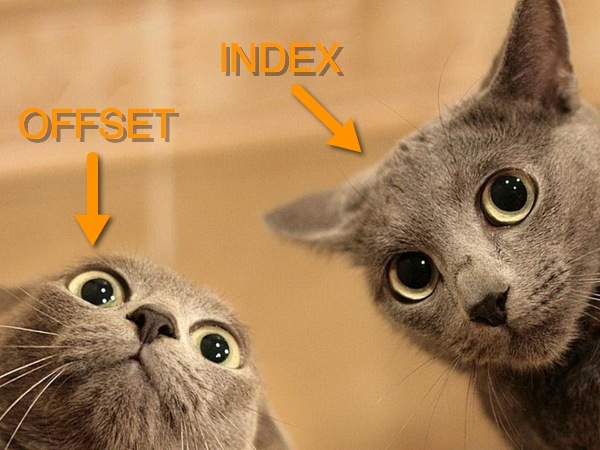 Back in March I did a post on three marketing uses for the OFFSET function. But, truth be told, I avoid the OFFSET function like the plague. The reason is that it’s very unstable and can bring large Excel files to their knees. Why? Every time you modify the file the OFFSET function takes that as a cue to go ahead and run again. So what I decided to do was take all of the marketing uses I demonstrated in that video and show the INDEX alternative. If you’d like to see how these look out in the wild, you can download the Excel file I used. To learn about Excel functions — and more — check out out my Annielytics Dashboard Course offerings. Thanks for the wonderful understanding information. Will require some more guidelines from you on excel and analytic. My pleasure! Glad it helped. Fantastic – very clear and super useful. I have a large (and very sluggish) workbook that uses many dynamic ranges with OFFSET. Recoding it with INDEX will be a lot of work. I am inclided to do this but you warn against not going overboard with extended range. In my case, the number of data rows could be 30,000. So I would have to use a very large range to cover this. Would the performance still be improverd with such large ranges? Thanks! There’s no way for me to know without testing it, unfortunately. There are so many factors involved. Well I tried it Annie. Changed all the OFFSETs to INDEX equivalents and it made a major improvement in performance. Thanks for the tip. If your data is in an excel Table, then you can reference its entire extent by selecting the Table, and it will automatically extend the range as you add more rows, or columns. Problems I have found with the dynamic range using count, is if you forget the count is there and accidentally add some data in those rows that don’t belong in the data table. I have used this for Pivot ranges and your data set suddenly includes blanks column titles and crashes. Tables are just a bit more resilient. Also, I note that in your tutorial at 7:28, you show that the range reference when entered in the Excel worksheet returns a #Value! error. I don’t get that on my Mac (Office 365). I get the first cell of the array referenced. I can see the whole array of course by using the forumla editor, selecting the formula, and hitting Cmd + “=”. How come you get an error and I get the array? I have no idea. Maybe it’s a difference with how 2016 processes an array function.